Matt has been with The Home Depot for seven years. In his current role, he has responsibility for Software Quality Engineering, Pipeline Engineering and non-production support across all of Home Depot IT. Previously, Matt had responsibility for quality engineering (building SDET/STE teams) and portfolio/project/release management planning activities for homedepot.com – which was voted as #1 internet retailer in 2015 and Omni channel retailer in 2017. Matt has a passion around automating everything so development teams get fast feedback enabling them to deliver quality code to customers. He firmly believes and leads in a way that as teams collaborate well, bugs found in production reduce, the amount of features developed increase which in turn helps drive the bottom line. 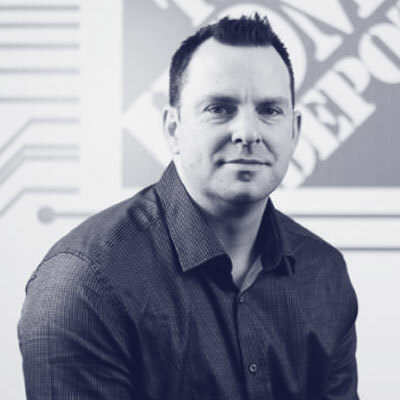 Prior to joining The Home Depot Matt was in Management Consulting delivering large scale IT Transformations initiatives across Europe and North America. When outside of work Matt loves spending time with his family, playing Rugby and Tennis.